Can you believe it is 2013 already! I hope that everyone had a great holiday season. Mine was wonderful and we were able to spend a lot time with family. Plus the fact that it was the first Christmas with our first grandchild made it extra special. 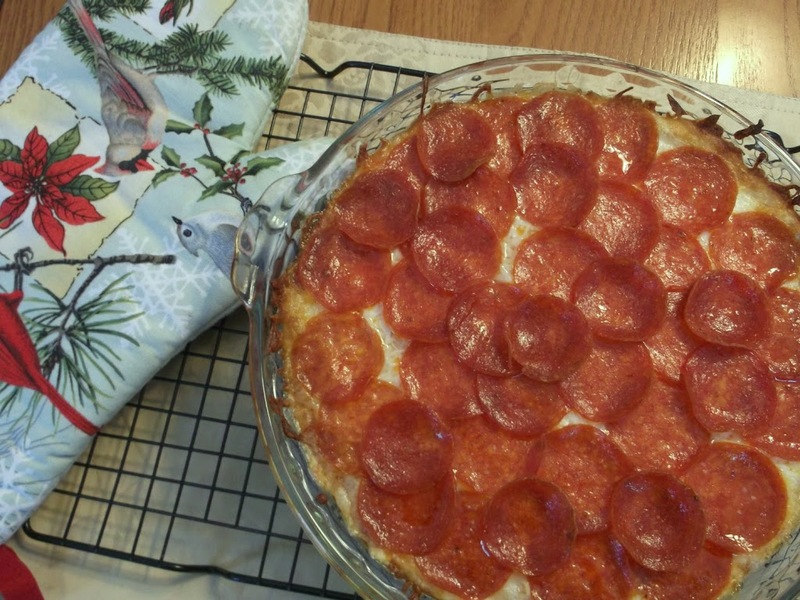 I couldn’t resist sharing one more recipe from the holiday season. I made this dip for a family gathering over the holidays. We had a potluck lunch and I wanted something that would be yummy and quick to make. And since most people like pizza I decided to incorporate that idea into this dip. The dip is simple to make and was great with the crackers that I served it with, but it would be just as delicious with chips, bread sticks, or whatever you would fancy. Everyone enjoyed it and it didn’t take long for it to be gobbled up. Even though the holiday season has come to an end, there are plenty of football games that will be coming up and this dip would be perfect for those games or it would be delicious for whatever occasion you have coming up. Beat with an electric mixer cream cheese, sour cream Parmesan cheese, garlic, onion, and Italian seasoning until well blended. Spread mixture in a pie plate. 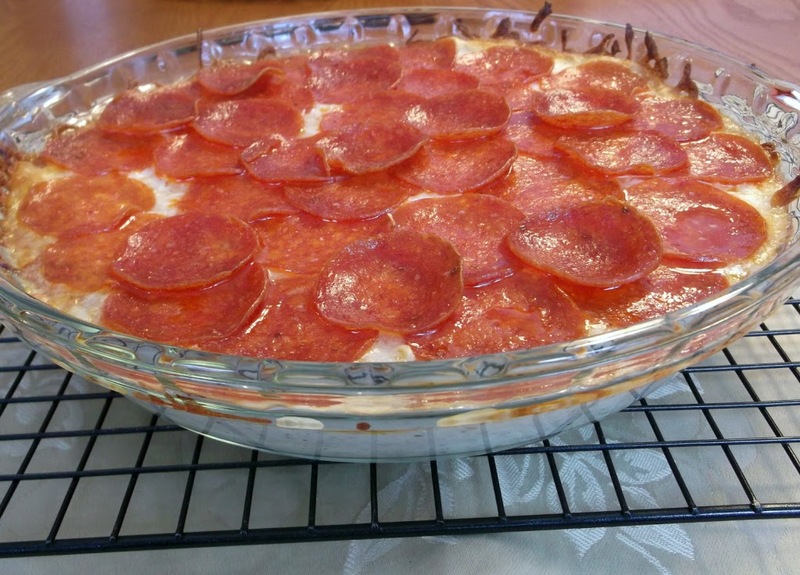 Top with the pizza sauce and spread over the cream cheese mixture. Add the mozzarella next, spreading it over the pizza sauce. 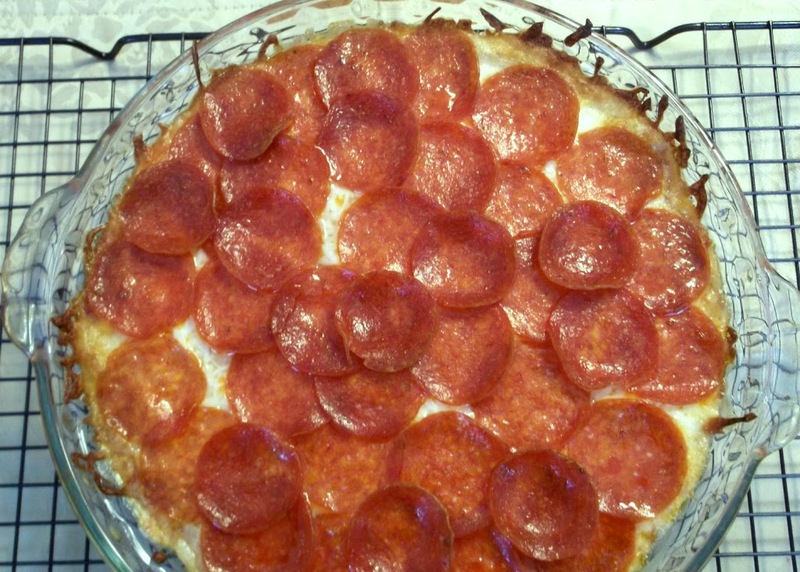 Finally add the pepperoni and cover the cheese completely with the slices. Bake the dip in a 350 Degree F oven for 15 to 20 minutes or until cheese is melted. Serve it with your favorite crackers, bread sticks, etc… Enjoy!! This looks so good, and you’re right, it would be perfect for a Sunday afternoon watching football. What a yummy dip – I bet this would be perfect for any get together! I thought this was pizza when I first saw it! Such a great idea! I can see why it was gobbled up so fast. Hope you had a Happy New Year! Who wouldn’t love this dip? It sounds so yummy, Dawn!! !